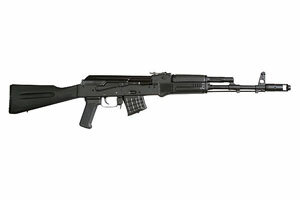 CALIBER: 7.62X39 BARREL LENGTH: 16.3"
Currently looking for this rifle/model. How much are you asking? Is this a New In Box, New No Box, or used rifle? If used how many rounds, and condition with notes on any marks or defects, fully functional? Which length stock? NATO or WARSAW (shorter, like 12" LOP)? Any accessories or modifications? Come with original Arsenal trigger, furniture, and matching SNs?